The most effective business strategies start with a solid foundation. 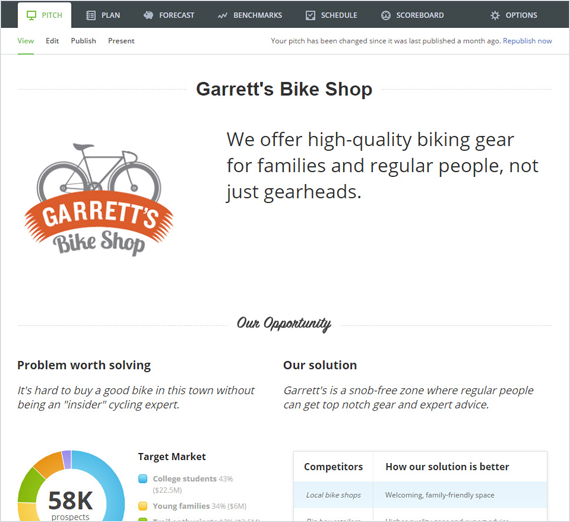 That&apos;s why LivePlan guides you through writing a one–page pitch to identify your target customers, potential markets, service offerings and more. This crucial first step typically takes less than an hour. No more messing with complex spreadsheets. 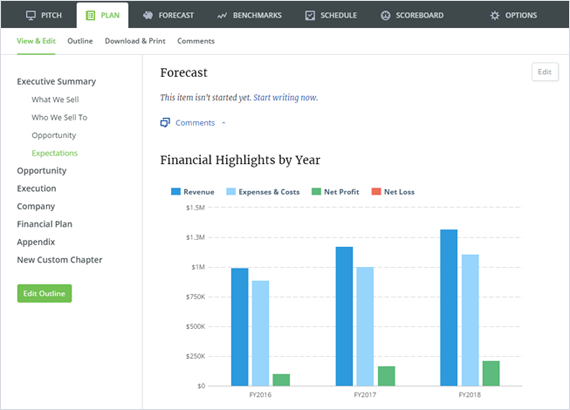 LivePlan guides you through a step–by–step process for building accurate forecasts that will help you set (and reach your) financial goals. Drag–and–drop budgeting, automatic revenue calculations and other features make forecasting surprisingly simple. Get the insights you need to grow. 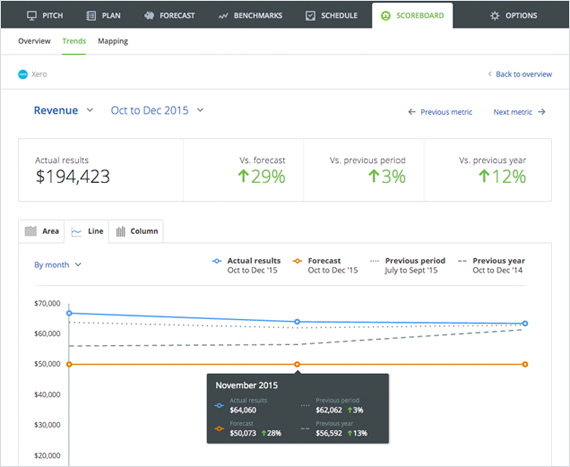 LivePlan&apos;s Scoreboard gives you a detailed look at how your revenue measures up to projections, so you can make informed business decisions. It also integrates with Quickbooks Online and Xero, which means you never have to enter the data manually. With my initial plan complete, I now have a ‘compass’ to constantly refer back to to keep me on track for growth and remind me of great ideas I intend to pursue.